Full Legislative Briefing document (pdf). The Economic Case for shale gas, if it ever did exist, has evaporated. The shale gas investment “bubble is now bursting. Dozens of companies face bankruptcy and massive layoffs. Moody’s has lowered its bonds to ‘junk’ status. Potash Corporation – one of NB’s largest users of gas – has left the province. Shares of Corridor Resources, which provided gas for Potash, are valued at thirty-nine cents. The rapid growth of inexpensive, renewable energy casts doubt on the LNG export business. Projects have been cancelled or postponed. Analysts say that these trends show, “There could not be a worse time to be embarking on challenging gas projects.” In shale areas, a ‘boom’ that lasted less than a decade has led now to a ‘bust’: cuts to budgets and services, increased deficits, severe social problems including unemployment, and abandoned wells. The Climate Change Case against shale gas has strengthened. The Water Contamination Case against shale gas continues. In 2014, the Canadian Council of Academies reported a total lack of scientific monitoring of groundwater at shale sites, and a lack of a scientific basis for regulations. Contamination specialist Dr. John Cherry says that that lack remains, adding that New Brunswick “shouldn’t experiment with shale gas until that situation changes”. The US EPA’s draft report on shale found cases of water contamination in every category it covered, saying many more are likely hidden behind court settlement ‘gag orders’. The EPA’s Science Advisory Board’s draft review of the report found that this evidence did not support the conclusion that no ‘widespread systemic contamination’ was found. It called for the removal of that phrase from the report, and criticized the report’s omission of EPA investigations that had found contamination, and its failure to discuss the serious consequences of contamination. The Public Health Case against shale gas is growing. The EPA noted that the health effects of 92% of chemicals used in fracking remain unstudied and untested, even as public health studies associate a growing number of serious illnesses with the industry. Earthquake concerns continue to grow. Earthquakes associated with shale development have increased exponentially in number and strength, occurred in more places, and are linked to both fracking and wastewater injection wells. Wastewater disposal thus also remains an unsolved problem. 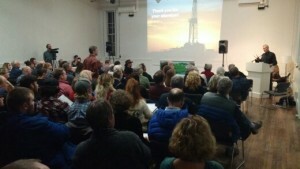 The only logical and moral response is a ban or minimum 10-year moratorium on shale gas and hydrofracturing. 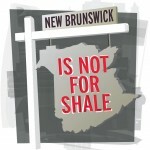 Citizens in the areas affected by shale gas development, including their local governments and First Nations, will accept no less. NBASGA would be much happier working with the government to promote and secure a sustainable future in our province, rather than pursuing justice in a court of law. Posted in: climate change, Fracking & Health, Fracking and Economics, Moratoria, Most Asked Questions, NBASGA, Research & Scientific Studies.